If you use Gmail, you know what I mean when I say “those confounded new Gmail tabs”. In June, Google rolled out Inbox Categories which they tout as organising your inbox so that messages “are classified into categories such as Social, Promotions, and Updates”. They say it’s supposed to help categorise your mail so that you see what you want to see when you want to see it. I say it’s just annoying because after being used to your Inbox looking a particular way for so long, this is just an added annoyance. It doesn’t really help. Open your Gmail and notice the new “tabbing” setup. Click the “Promotions” tab. And incidentally, emails could just as easily end up in one of the other tabs too, so check them all. 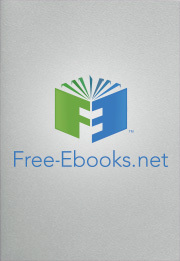 Look for any emails from “Free-eBooks.net” and then drag it to the “Primary” folder. Drag by clicking your LEFT Mouse button over the email Subject line and then holding it down while you pull the email to the Primary Tab. If you do spend some time with your Gmail Inbox and want to know how best to tweak this new feature perfectly, Lifehacker.com has an article itemising some of the pitfalls and flaws of this new design and gives you some insight into how to fine-tune it as best as possible. If you ask for my advice, I say disable them. We spend enough time in our inboxes as is. I don’t need any more reasons to stay in there, and I suggest you don’t either. Email is already too much of a time sink.